Amala Paul to pair with Ajith? 3 aims for February 3rd? Amala Paul became very popular after acting in the film Myna. Her acting in that film was much spoken about. After this she was heaped with offers in Tamil and Telugu. Now many of the producers are after Amala Paul for her call sheet. Because of this some of the leading actresses are very much in distress. The news that efforts are being made to cast Amala Paul in the female lead role in the film which has Ajith in the lead role has aggravated the other leading actresses. This film is to be directed by Vishnuvardhan. The selection for the heroine for this film is going on in top gear since the shooting of this untitled film is to commence during the month of March. It is also understood that Anushka is also under consideration. Let's see if this Myna wins the race. The filmmaker's involvement in various projects seems to have little delayed the process now. Much prior to wrapping up the Hindi remake of 'Vinnaithaandi Varuvaaya' starring Prateik Babbar and Amy Jackson in lead roles, the director commenced the shooting of his Tamil movie 'Neethaane En Pon Vasantham'. While the director has completed working on couple of schedules, he is now working towards the post production works of 'Ek Deewana Tha'. While Mayakkam Enna has won the praises of film critics, the box office collections have been considerably average. Together they have streaked success right from 'Thulluvadho Ilamai' and now their recent film 'Mayakkam Enna' has completed 50 days. On this special occasion, Dhanush has broken the news that they will be coming together again for another project before end of this year. 'Yes guys, we have a super script that will be a special treat for all' says Dhanush, who is busy now wrapping up with the dubbing works of 3. Director Aishwarya Dhanush is aiming to release her 3 on February 3rd, say sources in the tinsel town. The shooting of this film was wrapped up recently and the dubbing has also been done with. Music director Anirudh said that he is busy working on the BGM for 3 and will wrap it up soon. With the post production work moving on at a breakneck speed, there are plans to release this Dhanush and Shruti Haasan starrer on February 3rd. However, we still need an official announcement on the release date and Aishwarya is expected to make an announcement soon. 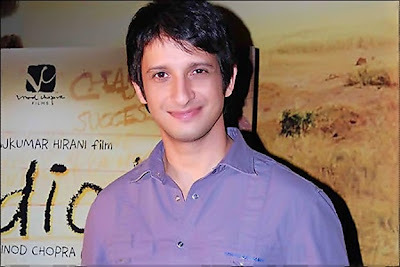 Sharman Joshi who featured in 3 Idiots was in the city for a promotional event . When quizzed about the remake of the movie , He said that he is eagerly waiting to take a glimpse of the movie. Sharman Joshi was very much involved in answering the questions related to 3 Idiots and the Tamil Version of the movie Nanban. He said that he is one among of thousands of south indian fans who are eagerly waiting to see Industry's top notch director along with mass hero Vijay. He has clarified that it won't be fair to compare the tamil version of the movie to that of the original since the treatment of the screenplay can be different. The Kerala beauty Amala is all set for a great beginning this Pongal, with her Vettai all set to release really big. The actress who had just one relesae in 2011 is touted to be the next-big-thing in Kollywood. She is planning to see the film with her family on the first day itself. With all the giant publicity and interest the film is evoking, it sure looks like she too can't keep the excitement down after all. 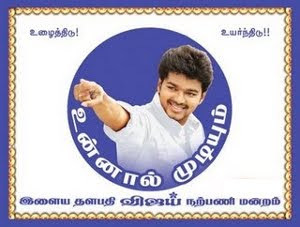 The actor has tweeted: "The countdown starts, just three days for Vettai..hmmm experiencing that weird feeling, 'butterflies in the stomach'…lol…"
And keeping up the support for the Nanban team as well, she has added that " This Pongal is going to be Vettai-nanban pongal, it's like Diwali on Pongal'. 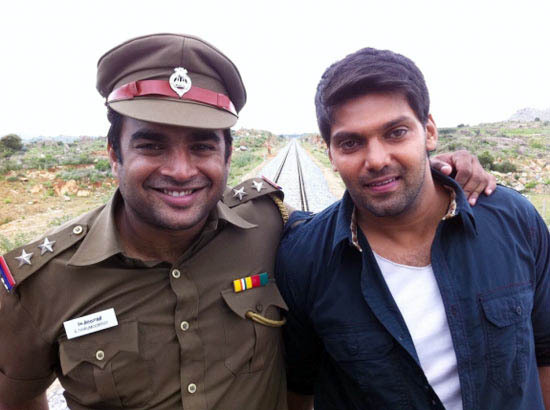 Linguswamy's multistarrer Vettai which will hit the screens from this pongal has four leading actor and actress from Kollywood .Arya,Madhavan,Amala Paul , Sameera Reddy starrer Vettai tickets were open for reservations , within few hours after the booking started , the tickets were sold out for four days. Incidentally , the movie is also turning out to be a foursome bonanza for fans. 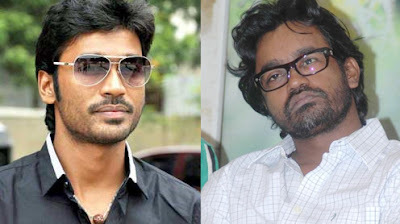 It is said that Vettai will feature trailers of four different movies . The trailers of Vazhukku En 18/9 ,Masala Cafe , Aravaan and Dhoni. Sona Heiden seems to have found a way to be in the news. The glamorous girl, who hit the headlines a few months ago after accusing SPB Charan of sexual charges, has now filed a cheating case against producer T Siva at the Tamil Nadu Producers Council. In her complaint, the actress has accused T Siva of selling the dubbing rights of Kanimozhi without her permission. According to the deal, she has 50% share not only in the Tamil film but also in other versions as well. However, putting aside their agreement, the filmmaker has sold it to Jakkula Nageswara Rao. Hence, Sona Heiden believes that T Siva has cheated her and seeks immediate action against the filmmaker. Kanimozhi starred Jai, Shazahn Padamsee and Vijay Vasanth. The movie directed by Sripathy Rangasamy was jointly produced by Siva and Sona. Rajapattai fever may have gone down in Tamil Nadu but it looks like the Kollywood movie has been doing decent business at UK. An official trade report tells that the movie has reasonably made good collections at the UK Box Office. Vikram and Deeksha Seth starrer film is still running in 13 screens. In its second weekend, the film has garnered £4,457 (approx. Rs 3.5 lac). The per screen average working out to £343 (27,500). In total, Rajapattai has raked in £43,368 (approx. Rs 35.79 lacs) in two weeks at UK Box Office. Meanwhile, the movie starring Vikram and Deeksha Seth has not lived up to the mark at the Domestic Box Office. However, Rajapattai is directed by Susindran and produced by PVP Cinema.